“If you are successful, it is because somewhere, sometime, someone gave you a life or an idea that started you in the right direction. Remember also that you are indebted to life until you help some less fortunate person, just as you were helped.” Melinda Gates. Terri Evans is committed to ensuring that her life reflects this mission and that she can provide the same gifts and opportunities that where afforded to her to someone else. Terri Evans has spent the last 16 years leading strategy and marketing in various roles for the BMW Group. She started her career in Automotive as an intern in the Southern Region while attending Spelman College. Terri had the opportunity to return to BMW NA as a management associate in 2003 and since has had a variety of sales and marketing roles. A proven leader, Terri has served as an Area Manager in Minneapolis, Distribution Manager for the group’s Central Region, headed the national marketing direction for the MINI dealer network and led the Central Metro Market for MINI USA. Most recently she led the strategy for Community Initiatives in Chicago by finding solutions to create a positive impact on social issues impacting our city. These programs included creating solutions for book deserts in the south and west side of the city, providing a solution to get people across the city transportation to the November election and creating funding resources for transportation gaps for afterschool programs for our youth. The last 16 years have given Terri the opportunity to work in several locations across the U.S. as well as share her talents internationally at BMW AG in Munich Germany. 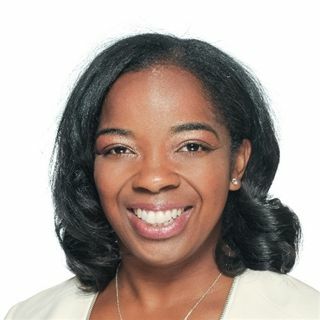 Terri received her BA in Economics from Spelman College in Atlanta, GA and her MBA from Kellogg School of Management at Northwestern University in Evanston, IL. Terri is the Chair of Little Black Pearl’s Board in Chicago, the advisory board for the YMCA and serves as a mentor at the Entrepreneur Incubator, 1881 in Chicago. Terri’s most important role is being the best mom she can be to her smart and extremely funny 5 year old son, Evan.